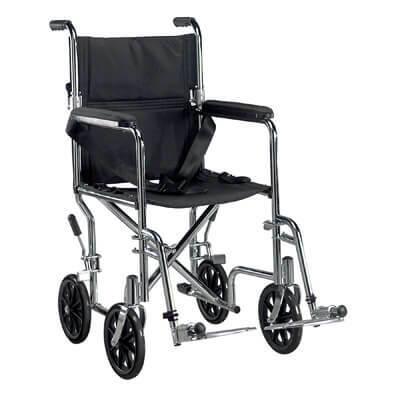 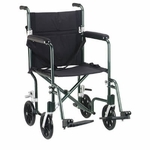 The 19" Go-Kart Steel Transport Chair by Drive Medical has a carbon steel frame, with a double coated, chrome finish to provide an attractive, chip-proof , easy to maintain chair. 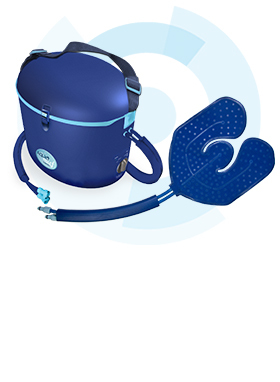 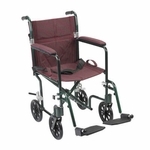 An aluminum casted, back release hinge allows the back to fold down for easy storage and transportation. 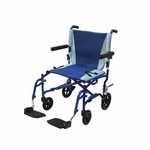 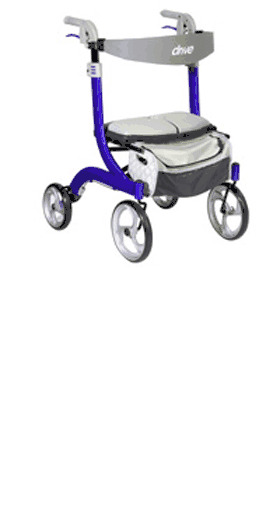 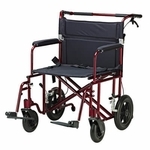 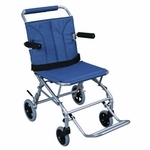 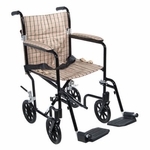 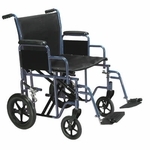 This chair comes with 8" caster wheels in front and rear that provide a smooth ride over most surfaces, swing away footrests, seat belt and carry pocket on back rest to easily and safety transport personal items.